This ticket allows you access to Great Wall Festival and access to the festival campsite from Saturday, 18 May 2019 - Sunday, 19 May 2019, 12:00 - 22:00. 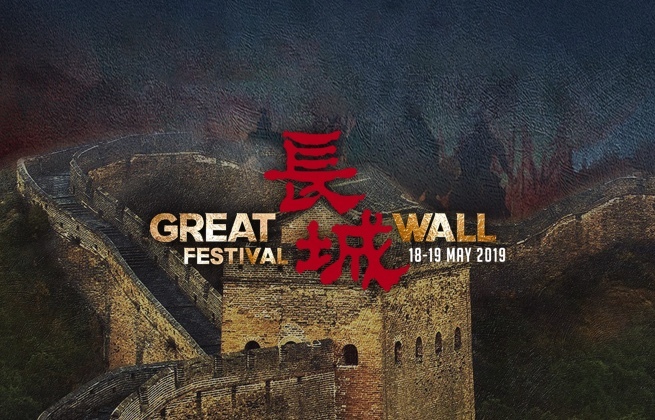 This ticket allows you access to Great Wall Festival from Saturday, 18 May 2019 - Sunday, 19 May 2019, 12:00 - 22:00. This VIP ticket allows you access to Great Wall Festival + Saturday After Party by the Great Wall + 5K Run on the Great Wall + Visit Great Wall (For the VIP pass holder only) + Camping Access Saturday, 18 May 2019 - Sunday, 19 May 2019, 12:00 - 22:00. 5K race on the wall is optional. This VIP ticket allows you access to Great Wall Festival + Saturday After Party by the Great Wall + 5K Run on the Great Wall + Visit Great Wall (For the VIP pass holder only). Saturday, 18 May 2019 - Sunday, 19 May 2019, 12:00 - 22:00. 5K race on the wall is optional. Purchase your parking ticket for Great Wall Festival 2019 here! Shuttle time: 08:00 - 13:00 from Beijing Agricultural Exhibition Hall West gate to the festival. Return from May 18 - May 19 (Beijing Agricultural Exhibition Hall Subway station Exit A). Purchase your E-locker for Great Wall Festival 2019 here!